DuPont™ Crastin® addresses an industry challenge - enhanced stability throughout the different cycles of the injection moulding process. DuPont took the time to sit down with us and really get to the bottom of the processing challenges we had been experiencing. This helped us to address the challenge at its core and to find an effective and sustainable solution. 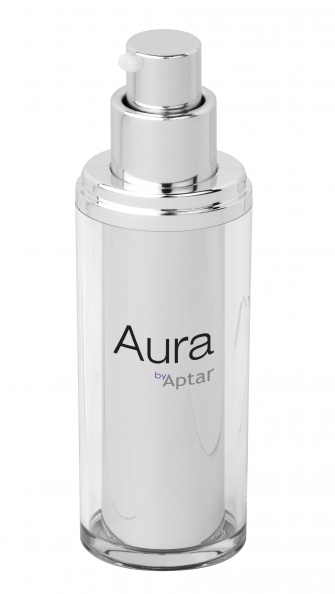 Ahead of the MakeUp in Paris Show on 22-23 June 2017, Aptar, the global leader in the dispensing systems industry, and DuPont Performance Materials (DuPont) have announced that as part of the companies’ continued collaboration Aptar will transition to new DuPont™ Crastin® polybutylene terephthalate (PBT), specifically developed for Aptar’s manufactured cosmetic pumps. Crastin® is a high-performance and chemical resistant polymer that offers significant added-value to the technical process of developing cosmetics pumps for creams, foundations, and liquid make-up. “We have an excellent on-going collaboration with Aptar, which is based on a shared philosophy of open-mindedness and combining competences. This has driven us in the right direction to solve a complex problem around the processibility and formation of their pumps,” said Alexandra Fabbro – EMEA marketing development leader Performance Materials, DuPont. “DuPont took the time to sit down with us and really get to the bottom of the processing challenges we had been experiencing. This helped us to address the challenge at its core and to find an effective and sustainable solution. DuPont understands our challenges and has a hands-on philosophy. By pooling our strengths and resources we managed to find a formulation of Crastin® that is tailored to our needs for 100%. This would not have been possible otherwise,” said Thomas Clemence , engineer in materials at Aptar. Aptar found that one of the greatest benefits of using Crastin® PBT for developing cosmetics pumps, compared to the PBT grade previously used, is its capacity to provide enhanced stability throughout the different cycles of the injection moulding process. Securing stability of the injection moulding process has been a challenge to the industry, especially as the parameters of the injection machine can shift over time. The dimensional and mechanical properties of Crastin® PBT mitigates this problem. In a similar vein, Crastin® PBT contributes to increased stability of the different pieces of the pump and ensures consistency of dimensions. Another advantage of Crastin® PBT is that it allows for good surface finishes and resolves the problem of sink marks. Sink marks are the small dimples or grooves on plastic surfaces that occur when, for instance, the hold pressure time is insufficient, the temperature is too high or the cooling time too low. Using Crastin® PBT also makes it easier to inject and fill a component and the part release from the tool. This is particularly useful when the pieces are complex with small cores and as the temperature control is challenging. Grades in the Crastin® PBT portfolio meet all requirements of existing cosmetic and food regulations. DuPont expanded its Crastin® PBT portfolio to the cosmetics and personal care industry in 2016. The company works closely with its customers in this sector, throughout the entire value chain and from start to finish. The partnership with Aptar is no exception, DuPont will showcase the application of Crastin® PBT for the creation of cosmetics pumps at the MakeUp in Paris Show on 22-23 June 2017. Aptar is a leading global supplier of a broad range of innovative dispensing and sealing solutions for the beauty, personal care, home care, prescription drug, consumer health care, injectables, food and beverage markets. Aptar is headquartered in Crystal Lake, Illinois, with manufacturing facilities in North America, Europe, Asia and South America. For more information, visit http://www.aptar.com. DuPont Performance Materials (DPM) DuPont Performance Materials (DPM) is a leading innovator of thermoplastics, elastomers, renewably-sourced polymers, high-performance parts and shapes, as well as resins that act as adhesives, sealants, and modifiers. DPM supports a globally linked network of regional application development experts who work with customers throughout the value chain to develop innovative solutions in automotive, packaging, construction, consumer goods, electrical/electronics and other industries. For additional information about DuPont Performance Materials, visit http://plastics.dupont.com. The DuPont Oval logo, DuPont™, Crastin® PBT and all products, unless otherwise noted, denoted with ™, ℠or ® are trademarks or registered trademarks of E.I. du Pont de Nemours and Company or its affiliates.